Weight gain is a frequent complaint from patients and is an ongoing lifetime struggle. Obesity is a rising epidemic in our country. In the United States, it is estimated that 93 million Americans are affected by obesity and almost 112,000 annual deaths are attributable to obesity. Individuals affected by obesity are at a higher risk for impaired mobility and experience a negative social stigma commonly associated with obesity. Being affected by excess weight, obesity or morbid obesity significantly increases the risk of developing many other diseases, such as type 2 diabetes, hypertension, heart disease, stroke, osteoarthritis and much more. Unlike diabetes and hypertension, obesity cannot hide from those around you. Weight management is a partnership between the patient, their family and the healthcare team. This partnership is one that is developed on an individual basis with each patient. Management of obesity includes diet, exercise, behavior modification and nutritional counseling. In most cases, medications for weight-loss (pharmacotherapy), supervised very-low-calorie diets, structured meal plans and injectable vitamins like B12 are prescribed. Most people have little or no side effects. Getting a handle on eating behaviors is key to making a significant long-term change. While no one likes to keep food logs that require writing down all food eaten, this exercise has been shown to be important for long-term success. With all the variation in serving sizes, most individuals do not have a good understanding of how many calories are actually consumed in one day. Therefore, it is recommended that individuals keep a complete food log. This will also help the providers to get a better handle on areas of the diet to focus on at follow-up visits. The current weight-loss model as patients and providers know it, needs to be reversed. With pharmacotherapy as the core and foundation, then diet, exercise and behavioral modification as essential adjuncts. 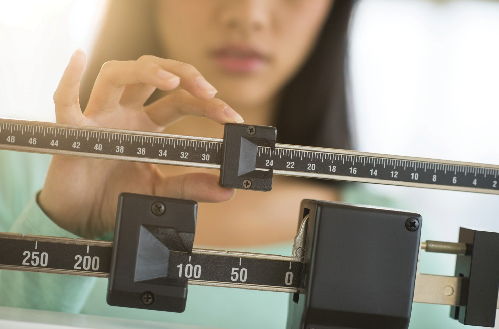 Once a desirable weight is achieved, a maintenance program needs to be continued using pharmacotherapy, diet, exercise and behavior modification. The medications suppress appetite, control cravings, improve insulin sensitivity and lower the metabolic set point. One particular method of weight loss using medications is with the use of prescription hCG. This also can be combined with lipotropic (fat burning) and B12 injections. Patients can lose up to 20 pounds in 20 days or 40 pounds in 40 days. Many studies have shown that accountability is one of the major factors influencing the ability of individuals to maintain long-term weight loss. Obesity is not a disease that’s conquered in a day, month or year. It is a disease that must be fought every day for the rest of one’s life. Weekly weigh-ins are a useful tool to hold individuals accountable. Just knowing there will be a weekly weigh-in decreases caloric consumption. Other options for weight loss under the supervision of a health care provider is The Ideal Protein Weight Loss Method. It is a medically designed protocol containing two key components — weight loss and a healthier lifestyle education to assist you in maintaining your results after dieting. The Ideal Protein Weight Loss Method is learning to live off of the body’s own fat reserves. First the body depletes its simple and complex carbohydrate reserves and then turns simultaneously to its protein and fat reserves for energy. Do you think you have a slow metabolism? Do you have trouble losing weight no matter what you do? Do you feel like your weight is getting in the way of your relationship, job and quality of life? Medically supervised weight loss is easier, faster and safer than standard diets because you are under the care of a physician throughout the course of your treatment. At Youthful Balance Medical Center, we can use medications and diet tools not available in commercial or self-directed diets. Call Youthful Balance Medical Center today and let us come up with a weight loss plan together!